Gibbs Houston Pauw is a top-ranked Seattle immigration law firm, founded in 1994. We provide legal services to our clients worldwide. Whether you are seeking help in getting visas for employees or family members, obtaining legal residency or U.S. citizenship, finding safety from human rights violations or abuse, fighting deportation, or complying with I-9 requirements, GHP can help you. We take an individualized approach in every case to meet the needs of our diverse clients. Gibbs Houston Pauw understands that immigration agency decisions and court proceedings profoundly affect our clients and their families. You can trust that we will provide you with skilled legal services and zealous defense. Gibbs Houston Pauw’s award-winning advocacy reaches beyond our clients. GHP is one of a handful of immigration law firms nationally with a history of successful federal court litigation challenging agency rules and delays. Our attorneys, with over 100 years of combined experience, are nationally recognized, and regularly teach immigration law at continuing legal education seminars and local law schools. 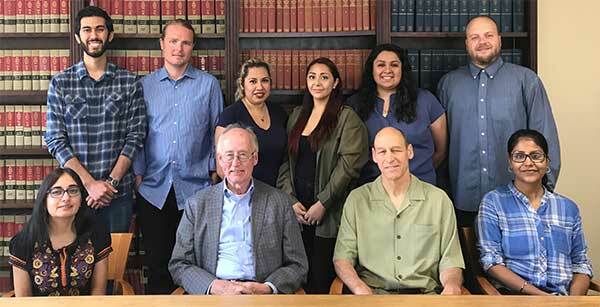 Our attorneys and staff speak Spanish, Hindi, and Polish.